Aegis Learning can handle all the arrangements or travel to the location of your choice. We have an inventory of great locations to suggest to you. From a day to a week long outing, Aegis Learning will include impact, value and a great dose of fun in your retreat. 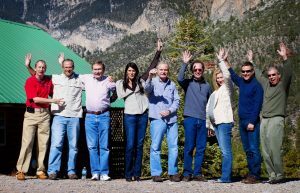 From leadership development to team building to strategic planning; Aegis Learning will customize your retreat and offsite experience for maximum return. Often the most impacting and lasting experiences are away from the working environment where the team and leaders can connect and build the relationships and bonds that last lifetimes. 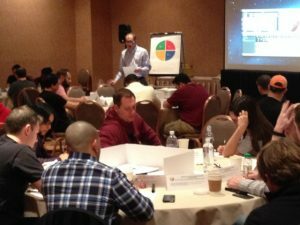 Aegis Learning delivers retreats and offsite events with IMPACT and RESULTS that are fully customized to your needs and the outcomes you desire. Our commitment is to provide you a unique experience for teamwork, leadership development, strategic planning or just to create more powerful connections. The team at Aegis Learning can assist you in location selection, logistics planning and more. We are here to make the experience meaningful and easy on you. Contact us today to discuss your retreat and offsite event needs.